Did you know your credit card can save you money when you’re renting a car? Many credit cards provide rental car coverage as an extra credit card perk allowing you to decline the rental company’s policy and potentially save hundreds of dollars on your car rental. To take advantage of the car rental benefit, you’ll have to use your credit card to pay for the rental and decline the Collision Damage Waiver/Loss Damage Waiver offered by the insurance company. Pay close attention to whether your credit card provides primary or secondary coverage, which vehicles are covered, and whether you’re covered if you’re traveling internationally. Need some help picking one out? Keep reading to find the best credit cards for rental cars. 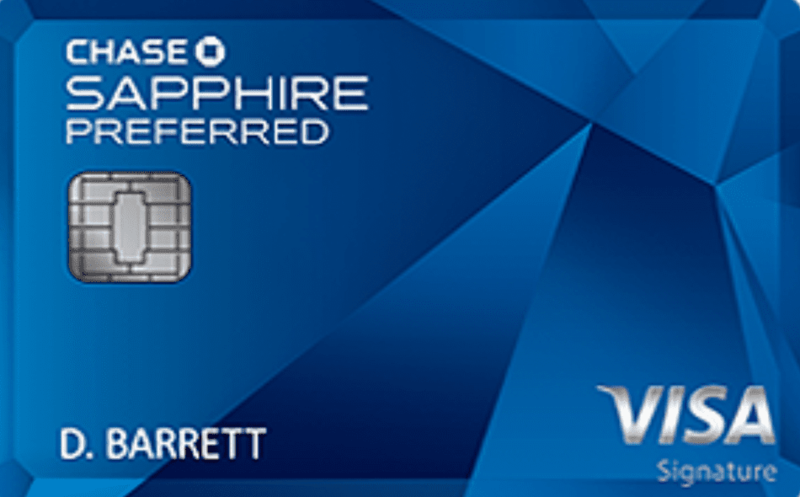 The Chase Sapphire Preferred offers primary coverage on vehicles you rent using your credit card. Because it’s primary coverage, the credit card’s benefits kick in first and you may be able to avoid making a claim with your personal auto insurance provider. You’re covered up to the cash value of most rental cars for up to 31 days within or outside your country of residence. Coverage includes physical damage or theft to the rental car, valid loss-of-use while the vehicle is being repaired and reasonable towing charges. Certain types of vehicles are excluded, including luxury and antique vehicles. The Chase Sapphire Preferred offers a signup bonus of 60,000 points when you spend $4,000 on purchases in the first three months of opening your account. It’s worth up to $750 toward travel when you book through Chase Ultimate Rewards. Important Pricing: The APR is 18.24 to 25.24 percent. The annual fee $95. There’s no foreign transaction fee. The Chase Chase Sapphire Reserve also offers primary coverage on every car rental, but also offers premium rewards on all your purchases. You’ll get special car rental privileges when you use your card to book with National Car Rental, Avis, and Silvercard. You’ll earn three points for every dollar you spend on travel and dining and one point for every dollar you spend on everything else. The signup bonus is 50,000 points when you spend $4,000 on purchases in the first three months - the bonus is worth up to $750 toward travel when you redeem through Chase Ultimate Rewards. Other premium perks include $300 annual travel statement credit and $100 application fee credit for Global Entry or TSA Precheck. Important Pricing: The APR is 19.24 to 26.24 percent, the annual fee is $450, and there is no foreign transaction fee. The United MileagePlus Explorer Card is another credit card that provides worldwide primary coverage on most types of vehicles, with the exception of “expensive, exotic, and antique” vehicles. As an additional incentive for renting, you’ll earn additional reward miles when you rent with certain rewards partners, including Hertz, Dollar Rent A Car and Thrifty Car Rental. Earn up to 60,000 bonus miles, 40,000 after you spend $2,000 on purchases in the first three months, plus an additional 20,000 after spending $8,000 on purchases in the first six months of opening your account. Ongoing, you’ll earn two miles per dollar spent at restaurants, on hotel accommodations when purchased directly with the hotel, on tickets purchased from United, and one mile per dollar on everything else. Get 25% back as statement credit on purchases of food, beverages and Wi-Fi onboard United-operated flights when you pay with your Explorer card. Important Pricing: The APR is 18.24 to 25.24 percent. The annual fee is $0 for the first year and $95 each year after that. There’s no foreign transaction fee. Note that many credit cards only offer coverage on rentals that last 31 consecutive days. American Express offers a premium add-on rental policy that you can use with any American Express Credit Card. The policy covers 42 days, but you must enroll for a rate of up to $24.95 per rental period. While liability coverage isn’t included, you get up to $100,000 in primary coverage and coverage for accidental death, secondary coverage for medical expenses and personal property coverage. The Blue Cash Preferred Card from American Express pays a $200 cash back bonus if you spend $1,000 on purchases within the first three months. Ongoing, earn six percent cash back on up to $6,000 in supermarket purchases each year; three percent back on U.S. gas stations and select department stores; and one percent cash back on everything else. Important Pricing: Enjoy a zero percent introductory APR on purchases and balance transfers for 12 months. (Balance transfers must be made within the first 60 days for the promotional rate.) The regular APR is 15.24 to 26.24 percent. The annual fee is $95. Use your Chase Ink Business Preferred Credit Card to pay for a car rental for a business trip and get primary coverage on rentals for up to 31 consecutive days. Coverage applies to rentals in the U.S. and most foreign countries. Coverage is secondary when you use your credit card to rent vehicles for personal reasons while traveling in the U.S. Earn 80,000 bonus points after you spend $5,000 on purchases in the first three months of opening your account. It’s worth $1,000 towards travel if you redeem through Chase Ultimate Rewards. Earn three points per dollar on the first $150,000 in combined purchases on travel, shipping, Internet/cable/phone, and social media and search engine advertising each anniversary year; earn one point per dollar on everything else. Important Pricing: The APR is 18.24 to 23.24 percent. The annual fee is $95. There is no foreign transaction fee.